Research software lets academics and students alike design sophisticated and customizable online surveys. If you want to conduct an online survey, there are dozens of inexpensive tools you can use to poll people over the Web. When UCLA's Corinne Bendersky is conducting serious research, however, none of those will do because what she wants to conduct is not a poll, but an experiment. While popular tools for mass audience research like SurveyMonkey are also promoted for academic use, Bendersky is a fan of Qualtrics, creator of an online research suite sold on an enterprise license and of Qualtrics 360, which provides related tools for processes like online employee reviews. As part of UCLA's Anderson School of Management faculty, Bendersky does research on organizational dynamics; some of her recent findings touch on the work performance advantages of neurotics versus extroverts. Tools like SurveyMonkey are fine for polling but are pretty crude for academic research, Bendersky explained in an interview. "For sure, people who have access to the software institutionally should be using it, rather than other tools." She introduced Qualtrics to her institution, convincing the management school to purchase an enterprise license. She added it was "a pretty easy sell" because the product is widely used in academia. Qualtrics gives Bendersky the flexibility to design the survey experience, which can go beyond multiple-choice questions to include many different kinds of prompts, including video. There are also multiple ways for users to provide responses. If none of the 100 question types Qualtrics provides fit her needs, she said, she can script new experiences without programming. "I've yet to find something I just can't do with Qualtrics." Having control over the online experience is important because some experiments involve a measure of deception -- for example, another element of the experience may be presented as if it were peripheral, making users think they are being tested on one thing when the goal of the study is actually something else. In one study of status hierarchies and dominance within work groups, Bendersky presented the experience as an online chat where the research subject was actually the only live participant and all the other messages were pre-programmed. This allowed her to measure how different people responded to the same messages in the context of social collaboration. "It's all about versatility," said Bryce Winkelman, an academic market sales leader for Qualtrics. There are many different ways online research is conducted. Universities value a tool that can cover many different scenarios while also providing tools to help academics analyze the results. "This is where they live -- they make sense of it, and then they write about it," he said. Qualtrics CEO and co-founder Ryan Smith said the company had its beginnings in his dad's basement a decade ago, when his father was teaching MBAs at Brigham Young University and needed sophisticated software that would be easy enough for his students to use. Qualtrics' first real customer was the Kellogg School of Management at Northwestern University. That was the beginning of a fruitful relationship with academia, and particularly with business schools. Qualtrics says its customers include 1,300 colleges and universities worldwide, including every major university in the U.S. Its tools are used by 95 of the top 100 U.S. business schools. "[Higher education is] definitely the vertical or market we dominate in," Smith said, but the company is also expanding into the business world. Qualtrics claims to have a presence in more than 50% of the Fortune 100. That expansion has happened naturally, Smith explained, as MBAs and others who used the software at the university get jobs and recommend Qualtrics to their employers. Corporate marketing organizations have traditionally conducted sophisticated research projects by hiring outside market research firms, but Qualtrics says they can benefit from the same combination of features that made its product sophisticated enough for serious research but simple enough for students and faculty to use. As Smith put it, "Why outsource this to a full-service research firm when you can have the research done yourself by the time it could take to get someone on the phone [at an outside consulting firm]?" 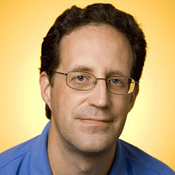 Follow David F. Carr at @davidfcarr or Google+, along with @IWKEducation.